Greetings, dear readers, and happy Sunday! It feels odd to me posting on the weekends since I generally avoid it when I can, but this month has been a little unusual to say the least. 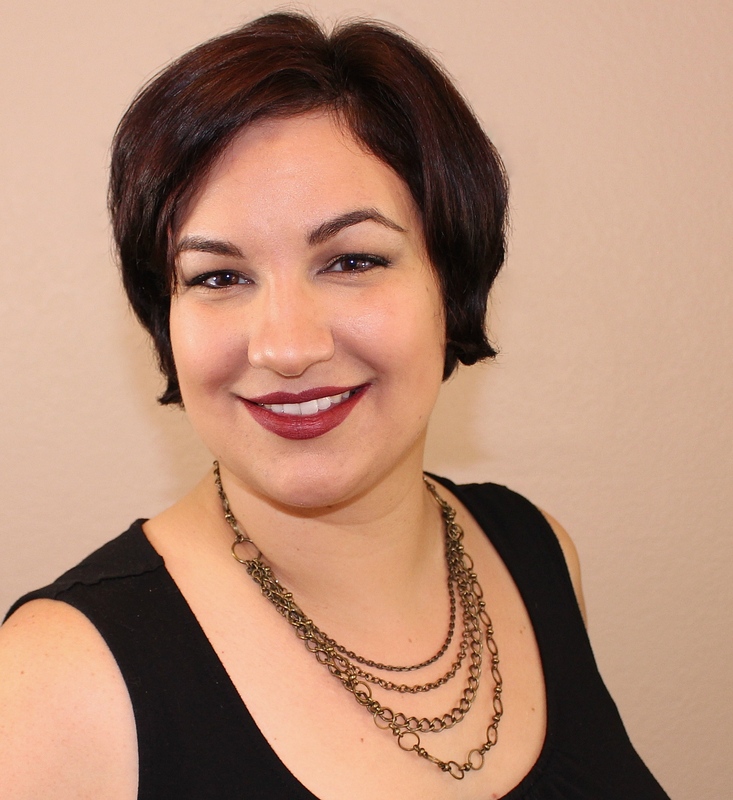 I had received the new China Glaze Happily Never After Collection immediately before evacuating from the Sonoma County fires. Unfortunately, it meant the collection would have to wait until life settled down. With Halloween upon us, I knew I wouldn't quite have the time to swatch since I just got back home, but I still wanted to do something fun with the collection. I was particularly drawn to the iridescent pink-grey shimmer, Sin-Derella, and I knew I needed to use at least that particular shade in a nail art look. When it comes to Halloween, I've had zombies on the brain a lot this particular season. I naturally had to go that direction to create my Halloween nail art look. With the assistance of my UberChic Beauty Zombie Love-01, I was able to easily create my zombie-inspired nail look utilizing four of the shades from the China Glaze Happily Never After Collection. I am loving this nail art look! And let's not forget just how important it is to find someone that wants you for your brains! Haha! While this particular collection may have been released for Halloween, the colours can definitely by used throughout the rest of the year. I know I have nail art plans with Queen, Please! when winter arrives! I hope you've enjoyed today's nail post post featuring the new China Glaze Happily Never After Collection! It it a beautiful collection, and I am happy to be able to include it here on the blog! That collection really is pretty! The base is really pretty! I totally didn't expect Halloween Zombie nail art with it & I love that you did it. How is everything back home? ha ha, this is a really cool Halloween mani! Those nail art really fits Halloween!! Really cute and creative!! That dainty pink base is everything. Love this! Those brains are everything... I love it... so creative and really cool. What a cool way to use the collection! This is fun. Awesome stamping! I like how you used the ChGl collection together to create this! I am always amazed at people who can do nail looks like this. It's so intricate. 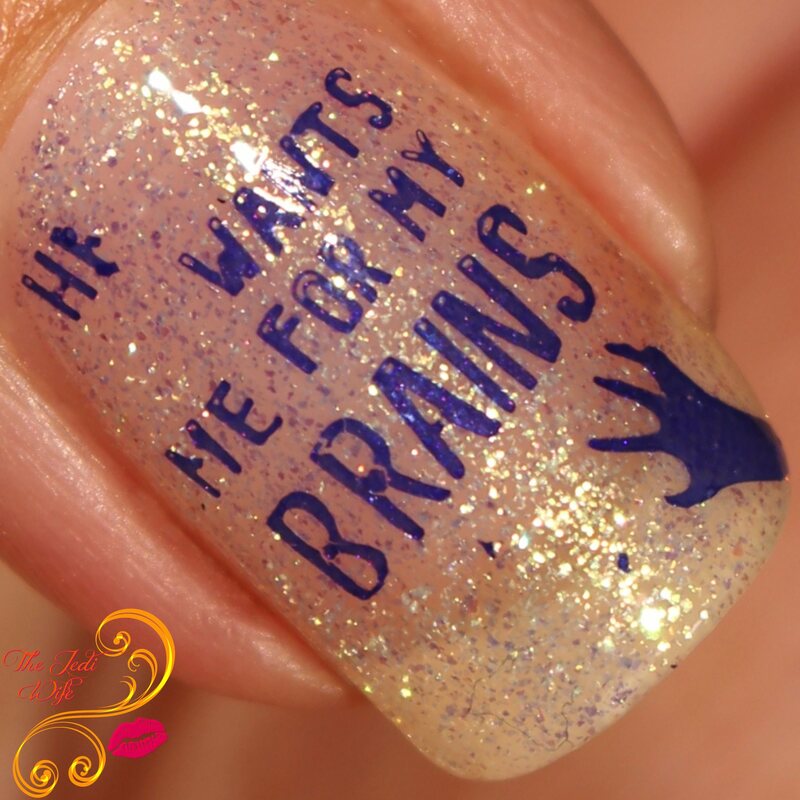 I love the phrase "he wants me for my brains." Super awesome. These nails are perfect for Halloween. 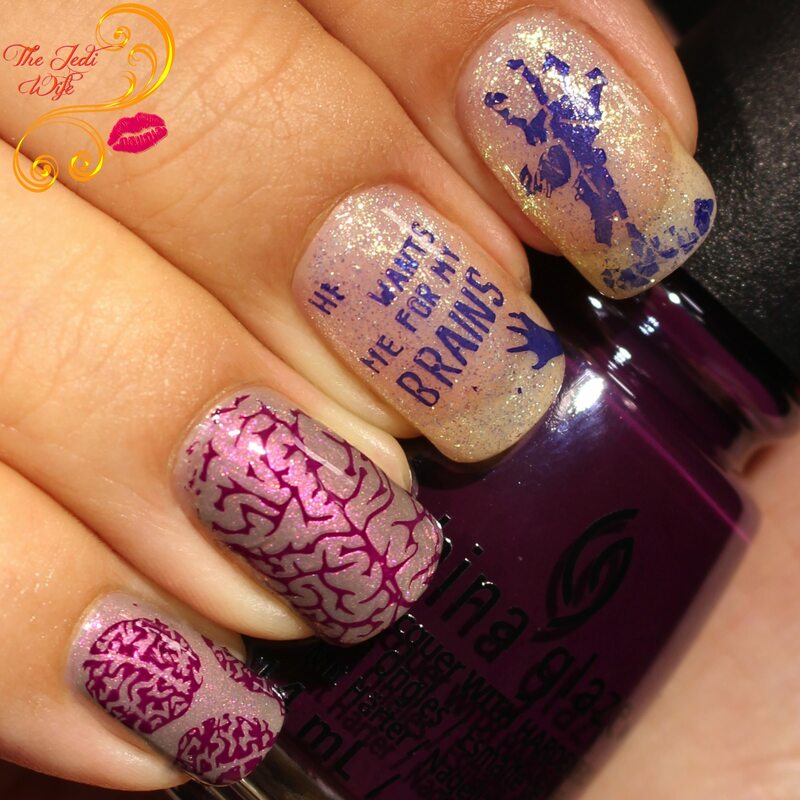 I love the idea of using the brain stamps with theses colors. Love them. Thanks for sharing this awesome nail art. Oh geez the details! I was wondering if you already compete to nail art competition? In Tokyo, nail art is a huge thing! Loving this nail art so much!